In the last quarter of 2011, Google generated more than 10 billion dollars of income. Think of it as $20,000.00 every minute. Most of it is for web advertising from companies small and large. This post is a primer on the Google AdWords advertising platform. The goal is not to convince you to buy Google shares, something I am considering, but rather to explain how Google advertising works. This way, you will be in a better position to determine if it is an appropriate tactic to bring good leads to your website. For a long time, I was sceptical about the usefulness of web advertising. To me, it was a desperate attempt to finance free content on the web. I did not believe that people actually clicked on those ads. Since then, I have changed my mind. I have seen with my own eyes how well it can work for many organizations. Google AdWords enables you to place ads on two very different networks. The first one is the “Search network” and ads are presented on the result page when someone uses the search function of Google or its partners. The second one is the “Display network” and ads are presented within the content pages of various websites. Most of the time, advertisers only pay when someone clicks on their ad. 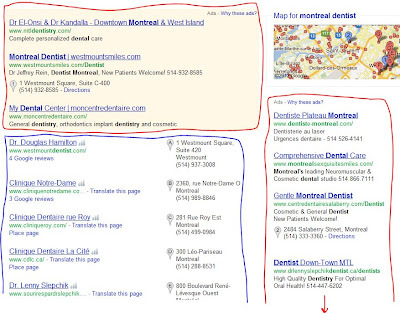 At the top left of the result page, you can see 3 ads for dentists inside a block with a light yellow background. To the right, below the map, is a zone that can contain up to 8 additional ads. The rest of the page shows “natural” or “organic” results and the position of each link depends on how well the search engine optimization (SEO) was done for those sites. Ads on the search network generally work well, when configured properly, because the person using the search engine is actively looking for a solution. 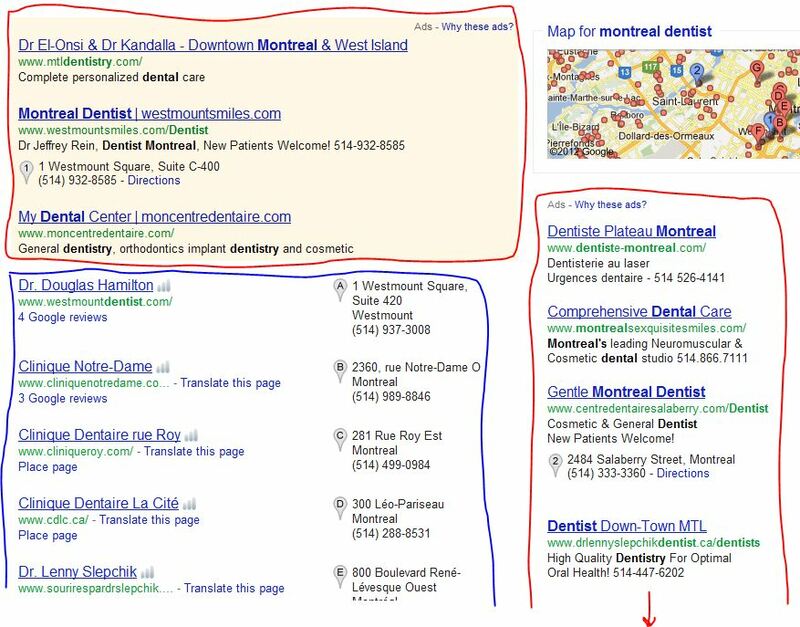 Someone searching for “Montreal dentist” is rarely looking for entertainment. The Google display network is made up of thousands of websites that have partnered with Google to show relevant AdWords ads. 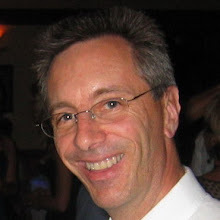 For example, websites such as www.kijiji.ca, www.cyberpresse.ca and www.lespac.com all display Google ads and share the ad revenue. The display network also includes Google properties such as YouTube and Gmail. In general, Google does not make money unless someone clicks on an ad. For this reason, Google tries to show ads within pages with related content. Impression : Is the number of times that the ad is shown. On the search network, the number of impressions is a good indicator of the level of interest that people have for your keywords. Click : Is the number of times that someone clicks an ad. CTR : Short for « Click-through rate », the CTR is the number of clicks over the number of impressions. CPC : is the cost per click. Conversion : is an action taken by a visitor of your website. It can be a purchase, a request for information or a newsletter subscription. AdWords allows you to match conversions and keywords or ads. This feature allows advertisers to closely monitor the performance the various elements of their ad campaigns. This post only covers superficially the very vast subject that is AdWords advertising. Hopefully, you know enough to figure out if your competitors are using AdWords. If so, they are probably stealing customers from you. Otherwise, you may have found an opportunity to increase your customer base.